The Spa & Pool Outlet in Raleigh, NC has the best spa, swim spa and hot tub deals in the Triangle. Visitors who are looking for spa or hot tub at an affordable price quickly and efficiently learn about their services. 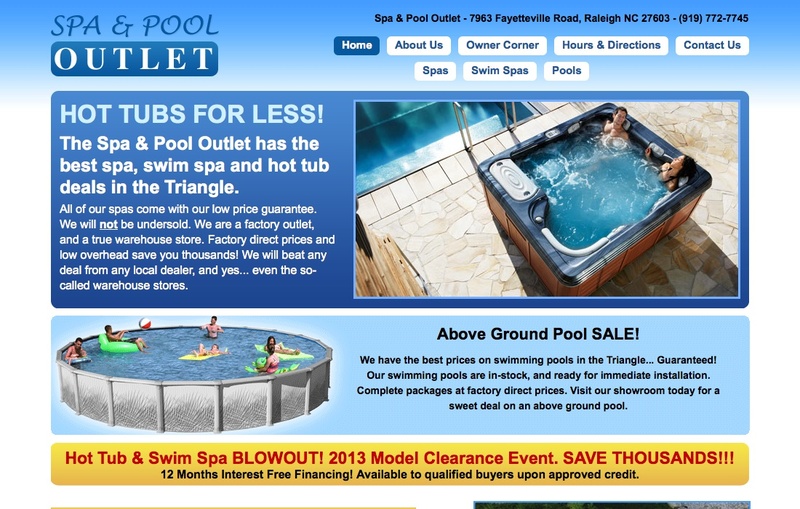 The Spa & Pool Outlet in Raleigh, NC is a hot tubs and spa dealer in Raleigh NC.